ABOUT THE PHOTOGRAPH The American semiotician Charles Peirce described three modalities in which the sign stood for entities in the real world. The first, the symbol, was an arbitrary sign which functioned because of a conventional association between it and its referant. The second, the icon, referred to its object through resemblance. The third, the index, had a direct, causal connection with its object. The photograph incorporates all three modalities of the sign, but in a dramatically ascending scale of potency. The much discussed representational power of the photograph lies in its symbolic nature, but more in its iconic nature, and more still in its indexical nature. The photograph’s optical and chemical causality, the fact that its referant adheres (to use Barthes’ term) distinguishes it from all other forms of visual record. It also grants it a privileged intimacy with the past. A STORY OF THE PAST A dinosaur wanders through a pre-historic swamp. It places one of its huge feet in some soft mud and leaves both an iconic and indexical sign of its existence. A volcano explodes, covering the mud with lava, and fixing the footprint for ever. Time passes. A paleontologist excavates the fossilized footprint. He makes a plaster cast and places it in a museum. We come to visit the dinosaur exhibit. As we look at the footprint we shudder slightly. We can almost feel the ground shake under us as the ghostly dinosaur lumbers past. We shake our heads in wonderment: “so long ago, so much time has passed, yet it seems so close”. as the dinosaur’s. He places the legs of his tripod on the ground, they leave a faint impression. He takes a photograph. Eventually it finds its way into a museum. We visit. We feel a slight shudder: “so long ago, so much time, yet it seems so close”. Then we dream: what if we went back to that spot, got down on our hands and knees, gently ran our fingers over the ground and, by some miracle, found those three faint impres­sions from the feet of the photographer’s tripod. And what if we put our camera there, and took another photograph of exactly the same scene, but one hundred years, and several historical and social cataclysms later? What if we displayed both photographs side by side in a museum? What shudders we would feel! What glowing auras of proximate distance we would bathe in! What mysteries of history we would create! REPHOTOGRAPHED PROJECT Despite the Project’s prosaic title and its pretentions to scientific validity, it is essentially this intoxicating dream which underlies South Australia Rephotographed. By presenting two photographs of the same scene, but separated by approximately a century’s worth of time, the Project may well teach us something about South Australian History. On the level of the photographs’ symbolic modality we may perhaps learn the extent to which South Australia’s social customs have changed. On the level of the photographs’ iconic modality we may perhaps learn the extent to which the topography and architecture of South Australia has changed. However it will be on the level of the photographs’ indexical modality that our essential fascination with the Project will lie. This fascination will remain unutterable, outside the Project’s pedagogics. Our fascination is with time itself, rather than history. Our thrill comes from time travel, rather than the specifics of historical change. Our Time Machine is obviously the camera. But the force which propels it is the interaction of two interdependent systems: the photograph and the archive. The photographs mark — symbolically, iconically and indexically — two points in the flow of time, and the archival repository allows us to connect them. The simultaneous proximity and distance of the twinned images react off each other, giving the ‘that has been’ of the photograph a double valency. THE MEANING OF TIME In his essay Photography Between Labour and Capital2 Allan Sekula discusses the relationship between the photograph and the archive. Sekula describes an archive as a ‘clearing house of meaning’, where any original function an image may have had is supplanted by its ‘semantic availability’. The image’s meaning is now up for grabs to anybody who cares to penetrate the ‘territory of images’ which constitutes the archive. This territory is a flat, featureless plain. It doesn’t matter whether the constituent photographs were initially personal snapshots, scientific documents, topographical views, or even artworks, they all end up with an ‘abstract visual equivalence’ within the archive. They are all, equally, only potential statements awaiting enunciation. As far as the retrieval systems of the Mortlock Library’s photographic archive allow us to determine, most of the historical images used in this Project (except those used by Ian North and Fiona Hall) were made by Samuel Sweet or Ernest Gall between the 1860s and the First World War. They are primarily views of Adelaide and its surrounds taken for sale through the photographers’ city studios. The clients for this view trade were mainly travellers collecting interesting and informative souvenirs of their visit, and settlers seeking visual descriptions of their new home to send back to friends and relatives in Europe. that was Australia. This was to be followed by the natural development and progress of the Colony in a British mould. In this context the view trade’s function can be seen as basically propagandistic. The photographs may appear to be simple documents of Adelaide’s major new buildings; its handsome, well laid out thoroughfares; its busy port; and its picturesque, pastoral hinterlands. Their job, however, was to proselytize the Colony of South Australia back in Europe. They present South Australia as a potential space: empty, but ripe. The photographs were initially read within the rhetoric of the ‘New World’, one awakening from dormancy to activity, flowering from wilderness to a garden, growing from primi-tivism to civilization, and converting from paganism to Christianity: a world strange, but slowly and systematically transforming itself into a simulacrum of Europe. The archival images used in this project were originally invitations to participate in this transformation. They were forward looking, taken and sold to aid the teleological thrust of South Australia into prosperity, from the past to the future. However, once embedded in the archives of the Mortlock library their forward thrust is halted. They become markers lodged in the past. Their meaning is placed on auction to the various users of the Library. Perhaps they become a nostalgic image for a picture postcard or a calendar, perhaps hard evidence for a thesis on architectural style, perhaps even part of the artistic vision of Samuel Sweet or Ernest Gall. Or, as in this case, they become a point of reference, one terminus of a joy-ride through time. 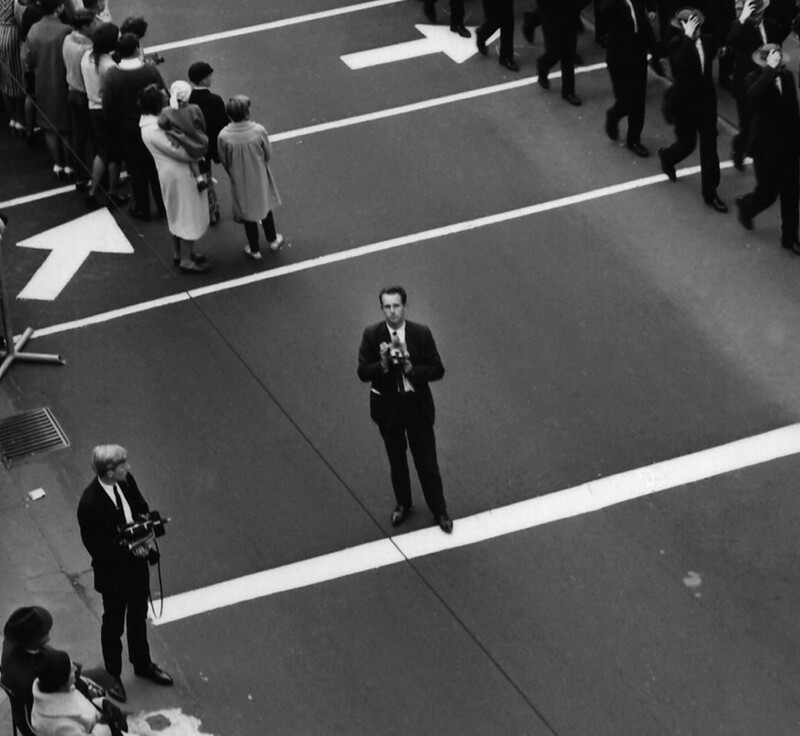 The spectator’s gaze travels on a photographic time-shuttle as it flicks from the archival to the contemporary image and back again, comparing this detail to that. The two terminuses share many characteristics. Each is, of course, of the same geographical location, and each depends on the other for its presence on the gallery wall. But more importantly, even though the origins and original meanings of the archival images lie outside the Project, they are now just as dependent on it as the contemporary, commissioned images for the potential readings they may make available to us. minimize the variables in the experiment, similarly artisanal photographers should have been chosen to carry out the rephotography. In fact six artist photographers were com­missioned, complete with all their fierce independence and restlessly individual styles. They were chosen because, like Samuel Sweet and Ernest Gall were in their time, they are the State’s foremost photographers. But their work is the product of an art discourse, rather than the commercial discourse in which Sweet and Gall were leaders. Artists and not, say, South Australia’s leading commercial or postcard and calendar photographers were chosen to participate, even though the latter are the true inheritors of the tradition of Sweet and Gall —the popular circulation of images of a picturesque and prosperous State. This ambiguity of purpose within the Project reveals a more fundamental ambiguity within photography itself. Photography, as we all know, is a mechanical art, combining the discourses of ‘objective truth’ and ‘artistic vision’ in an uneasy alliance. It is precisely this alliance which has allowed South Australia Rephotographed to have a dollar each way, to invest in both the supposed impartiality of photographic truth and the privileged subjective impressions of the photographic artist. Within the seamless, symmetrical enclosure of the Project one redeems the other. The divergent discourses of historical fact and artistic truth are bonded together in an unassailable unit of mutual validation. This monogamous pair-bonding asserts another neat symmetry for the two types of author involved in the Project —the artist and the artisan. Each becomes the privileged Voice of their time. Because an individualist personality is denied the anonymous artisan of the past their photographs attain a Positivist truth as historical artefacts. Like archeological relics they become passive ciphers standing in for a complete culture — mute, elliptical documents unproblematically containing, but not exceeding, all our assumptions about their historical period. However the present is not as complete, or as containable as the past. It automatically exceeds any single images attempts to contain it. Here the individualist, author­itative voice of the artist is privileged — blessed with perspicacity and acuity. Within the symmetrical terms of the Project these two privileged voices — the emblematic, artisanal voice of the past and the acute, artistic voice of the present —are married. graphic tastes, if it was physically possible to re-locate am. re-photograph them, and if this rephotography would evince the feeling of substantial historical change. The criteria for selection was primarily the efficiency with which the images would operate within the Project’s time-shuttle mechanism, rather than any specific social, cultural or historical arguments they might make. (Nor were the images selected to describe any particular photographer’s oeuvre, or any particularly photo­graphic style or concern, as has been the case in similar projects carried out in the United States.) They have simply been transferred from one totalizing system — the archive — to another — the South Australia Rephotographed Project. However this subset of the larger archive is not an archive of images so much as an archive of ‘elapsations’ — the time-shuttle between twinned images. It is an archive not of clearly authored interpretations of reality, but of immutable, trans­cendent lines between moments of time — ‘now’ and ‘then’. As spectators we no longer read historical writings, but seem to experience History itself. The frictionless connection between two instants valorizes the Historical Moment as Truth. This new archive structures itself as a Positivist entity, dealing only in facts, denying variant readings, and placing absolute faith in the self-evidentiality of perceptual experience. In the presence of this ‘archive of elapsations’ we feel something like the same dumb awe we feel before a dinosaur’s footprint. It is an awe that lies outside knowledge, created by the immediate presence of unconscionable oceans of time, and the aura of proximate distance. But all ineffable experiences remain embedded in the social. They are produced within institutions such as the church, theatre, gallery or museum. Our audience with the dinosaur’s footprint comes courtesy of the intersection of the science of paleontology and the institution of the museum. The South Australia Rephotographed Project’s legitimating discourses are History and Art. Its supporting institutions are the gallery, Library archive and, more pervasively, the Australian Bicentennial Authority. The Bicentenary was initially intended to celebrate a nationalistic, trans-class, trans-cultural unity, grounded in the supposedly a-historical verities of shared national ‘character’ and ‘experience’. Recently such celebrations have become the site of conflict, centred on Aboriginal Land Rights, but also including charges of cynical party-political opportunism. The Official Bicentennial Celebration is essentially a process of erasure and conflation: the erasure of social and cultural difference and oppression, and the conflation of variant histories — British, Aboriginal and Immigrant — into a normative historical narrative. The anti-Bicentennial protests are essentially attempts at re-inscription and re-incision: the re-introduction of repressed historical events into the normative flow of the dominant historical narrative, the re-assertion of fundamental social and cultural differences, and the public proclamation of continuing inequalities and oppressions. It is in this context that the true Janus-like character of the ‘archive of elapsations’ reveals itself. The historical images proudly looked forward, towards us, for their fulfilment in unified progress and stable prosperity. The contemporary images nervously look back, from uncertainty of identity and conflict of interest, into an unchangeable past where stability and meaning can perhaps be found within an original, historical truth. The twinned images stare each other in the face, what have they been allowed to see? READING REPHOTOGRAPHY The structure of the Project tends to work for the processes of historical erasure and conflation. Although archival images of Aborigines were not deliberately excluded from the Project, none were found that were suitable for rephotography. However, once absent from the archival images they are excluded from the rephotographs. They remain absent from the Project’s history, but their absence is now a glaring one. It becomes a shadowy presence. Aborigines were at best quaint anachronisms to the view trade’s white clientele. They were the remnants of the pre-historic, potential space of Australia, the civilization and pastoralization of which the images recorded. Now their absence from the Project underlines their very survival of this genocidal history, as well as their prior ownership of ‘Terra Nullius’. Two essential questions must be asked of all archival photographs: what meanings did they produce when they were originally published? What meanings can we produce from them now? Rephotography may redouble the indexical power of the photograph, and it may record superficial changes in the environment, but it is basically a historically passive activity. It does not, in itself, interrogate the original function of the archival images, nor does it seem to provide a fruitful enunciative context in which new readings may be produced. Because it places its faith in photographic self-evidentiality it is only through irony and disfunction that readings, outside the thrill of seeing time pass before our very eyes, can be made. However on closer examination these ironies and disfunctions fertilize the ‘archive of elapsations’, allowing unexpected readings to grow in the cracks between its temporal poles. For instance one pervasive irony seems to confound our assumptions about the steady progress of history. Many of the contemporary photographs, particularly those of coastal and rural towns, have a leisurely nostalgic air to them, compared with the strenuous bustle of the archival images. This reversal of our normal conception of the respective ‘pace’ of the past and the present ironically underscores the decay of many South Australian industries. with recreation as the prime picturable outdoor activity. Economic activity has now largely disappeared from the picturable — absorbed into computer circuitry, or hidden within unintelligible robotic functions; whilst recreation has come out from the parlour and away from the occasional picnic to almost totally define the space of the outdoors. In the nineteenth century the outdoors was synonymous with economic production — farming, grazing, timber-getting, railway and steamer trade, mining, etc. The productive system mapped the outdoors. Roads, railways, sea-ways, ports and jetties all had primarily economic meanings within nineteenth century visual culture. Now the outdoors is synonymous with recreation — swimming, boating, sightseeing, bushwalking etc. Recreation maps the outdoors. Surf beaches, fishing jetties, marinas, highways and national parks all have primarily recreational meanings within contemporary visual culture. The many new readings the project does make available are produced not so much when the contemporary photo­graphers dutifully follow the scientific guidelines of the Project, as when they deviate from them. Six artists may have been chosen for the Project in order to encode the two discourses of photography — objective truth and artistic vision — within its structure, but it is precisely their precocious artistry which saves the Project from a relentless scientism that would otherwise be stultifying. Each artist has brought varying degrees of historical accuracy to their rephotography. Some, for instance Martin Smith and Alan Cruickshank, have been scrupulous in their detailed research, but have been thwarted at the last moment in their attempts to find that magical ‘exact same spot’. They have discovered the limits of even the photograph’s indexical power and have been reduced to the tentative nomination of a particular spot as ‘the spot’ within a range of relative uncertainty. (Very much in the manner of a physicist who is unable to locate the sub-atomic building blocks of matter with certainty, and can only theoretically predict their presence.) And, of course, in nominating, from a range of possible spots, the one spot which is to bear all the indexical magic of photographic time-travel, matters of personal taste — which reside in the photograph’s symbolic modality — must inevitably be crucial. Yet hitherto the whole complex of reasons why a particular view is chosen by a particular photographer at a particular historical and cultural juncture were excluded from the Project. Their re-appearance, even as a disfunction, opens up a space for the spectator to critically insert themself between the bonded images: why was that spot chosen and not another? Another major disfunction occurs around the issue of the disposition of human figures within the various views. Unlike buildings or topographical features, passers-by have to be directed by the photographer to adopt certain positions within the overall scene. The original photographers were making architectural and topographical views, they weren’t making sociological documents. People were subordinate to the scene, which was generally chosen to emphasise depth and scale. If onlookers were present at the time of the photograph’s execution they may have been included, but only as figures to further articulate the spectator’s sense of ‘view’: they were either indicators of scale, surrogate spectators, or perhaps evidence of a sober, industrious citizenry. The scenes the artist photographers approached were predetermined by the archival images, but the directions they gave the inevitable onlookers were left up to their culturally and historically specific taste and judgement, and their interpretation of the ‘rules’ of the Project. Mark Kimber often directed onlookers to pose in exactly the same positions as the figures in the archival images. But, ironically, this obviously theatrical connection with the past reads as somehow fraudulent amidst so much indexical verisimilitude, thereby applying the brakes to the photographic time-shuttle. Photographing passers-by as just that, passers-by, rankled with some photographers. The archival photograph’s dour descriptive views, arranged around the Claudian perspectival scemas favoured by nineteenth century photographers, were not to the taste of the contemporary artists who cut their teeth on the planar compositional strategies of twentieth century Modernism. To simply allow the figures to be caught where they stood would, for them, result in an image totally devoid of personal significance. Stephanie Valentin and Mark Kimber solved the problem by referring back to their personal photographic styles and introducing figures in the foreground of the scene, thus producing a kind of hybrid rephotograph/ sociological portrait. Both artists have been at pains to place markers of contemporaneity — ghetto-blasters, surf-mats, etc — in their rephotographs. Yet, once more, in an image charged with temporal flux such deliberate sociological declarations on the part of the artist photographers appear oddly gratuitous. Two artists, Ian North and Fiona Hall, opted out of these irresolvable dilemmas by totally refusing the Project’s scientism and instead applying the ‘spirit’ of the project to their individual oeuvres. replete with ‘multi-cultural’ members (including an Aboriginal boy). Basic familial norms are asserted over the cultural diversification of the Australian nation, which is now, allegorically, one big family. Ian North’s combination of three South Australian landscapes, one each by Hans Heysen, Harold Cazneaux, and himself, are not concerned with topographical change through time. Rather they engage with the historical process through which a picturing system developed in the 1900s to 1930s becomes the most pervasively popular image of ‘South Australia’. The landscape paintings of Heysen, perhaps South Australia’s best known artist, and the Pictoralist photographs of Cazneaux, have become emblematic of South Australia’s ‘rugged north’. Ian North’s quasi-expressionist overlay of brush work visually links the three images. It also intervenes in the pictorial self-sufficiency of each landscape, flirting with the historical contingency of all picturing systems, even those which, by virtue of History, have acquired their own meta­phorical overlay. The work produced by the six artists commissioned by South Australia Rephotographed has far exceeded the terms within which it was initially conceived. The sheer intoxication of time-travel remains, but in addition the archive of elapsations becomes a fertile terrain which, through irony and disfunction, is capable of producing many variant, even contradictory readings. The Project was inspired by photography’s privileged intimacy with the past, it attempted to contain history within time and the photograph within truth. It was bound to fail. But it is precisely within its failure, through the historical mobility and semiotic plurality of all photographs, that its success can be found. 1. G. C. Henderson. The Archives Department of South Australia. (An appeal on behalf of the Board of Governors of the Public Library, Museum, and Art Gallery of South Australia to all who have in their possession original documents relating to the history of South Australia). Adelaide. 1920. Thanks to Margy Burn of the Mortlock Library for this reference. Back in 1883 the British eugenicist Sir Francis Galton published Inquiries into Human Faculty and its Development in which he described his method of ‘composite portraiture’.1 In order to deter­mine the essential physiognomical characteristics of any given social class, racial strain or behavioural type, Galton had devised a fiendish photographic method exactly analogous to statistical distribution analysis. First he collected individual portraits of members of a designated character type. From a Lieutenant in the Royal Engineers he obtained portraits of ‘the vigorous’, from the Director of Prisons he obtained portraits of ‘the villainous’ (which he subdivided into murderers and thieves), and from Guys Hospital he obtained portraits of ‘the diseased’ (sufferers of tuberculosis). All the portraits of each character type were copied onto a single photographic plate. Those features held most in common built up density to become more distinct than the individually variant physical characteristics. Thus the overall impression of the composite would represent the innate norm around which the individual samples deviated. It would be a generic portrait — the physiognomical index of the qualities of each character type. Composite portraiture was only part of Galton’s detailed anthropometric investigations which were undertaken to aid natural evolution by enabling the British race to breed deviance and degeneracy out of itself. On a pleasant Saturday afternoon I stood in a pleasant Paddington art gallery looking at a fascinat­ing exhibition by one of Sydney’s nicest photo­graphers. Why couldn’t I get the cold gothic horror of Galton out of my mind? Surely the comparison was perverse and gratuitous. Jon Lewis’ 200 portraits, although all photographed at the same proximity and under the same lighting conditions as required by Galton’s composite portrai­ture, celebrate diversity, not some ideal racial norm. Even if this ‘ourselves’ had both its geographical and cultural epicentre at Bondi Junction, the highly potent figure of ‘200’ portraits, repeated in all the press publicity, implied national coverage by way of Bicentennial metonymy and sheer magnitude. The edge to edge, wall to wall, floor to ceiling hang of the tightly framed faces, divided into alphabetical sections for ease of reference to the accompaying checklist of names, suggested the logic and structure of a photographic archive and catalogue. This, and the obviously considered punctuation of the unrelent­ing rows and columns with the faces of the young, the old, the famous, the aboriginal and the ‘multi­cultural’, urged us to invest a certain, almost scientific comprehensiveness in the project. Despite its diagnostic failure it was the persistent invocation of innate humanity which perversely recalled Galton: Face to Face seemed to allow intimate access to Australia’s humanity, just as Galton’s method provided statistical knowledge of the generic characteristics of a range of human types. Both photographers presuppose a faith in the face as the index of a pre-existent nature, brought to light by the act of deep breathing and the method of generic composites. Yet while Galton’s eugenic agenda is hierarchical and instrumental, in Lewis’ phrenological democracy every face has the same value — ‘humanity’ — and offers the same reading — ‘intimacy’. The immediate diversity of this Bicentennial ‘we’ is atomized, consensual, normatively distributed by the mute logic of warm, human egalitarianism. Galton’s experiments, forerunners of more sophisti­cated developments in juridical realism and the regulatory sciences, cast an odd light on Face to Face.6 But Lewis’ investigation borrows from the empiricist surveillance and control strategies of science and government only to affirm a democracy of personal intimacy. In the end all that Lewis’ extravagant survey presents us with is the same familiar thrill photogra­phy has always offered — corporeal presence. No­thing to be afraid of at all, really. Sir Francis Galton, Inquiries into Human Faculty and its Development, Macmillan and Co.. New York 1883. Robert Macfarlane, “A journey into the human face,” The Weekend Australian, September 10-11 1988. Christine Godden, The Sydney Morning Herald, Septem­ber 16, 1988. “Face to Face”, On the Street, September 7, 1988. Allan Sekula, “The Body and the Archive.” October 39, MIT Press, Winter 1986.